Jones is perhaps best remembered for his heroic double century in the 1986 tied Test in Madras which he made despite suffering severe illness, but he also helped revolutionise one-day cricket in the late 80s and early 90s, playing a key role in Australias 1987 World Cup victory and he was ranked the No. 1 ODI batsman for four years between 1989 and 1992. "A game changer, he was renowned as one of the best runners between the wickets and being one of the best outfielders of his generation," Hall of Fame chairman Peter King said. "He was one of the key reasons that Australia claimed the World Cup in 1987 while his heroics with the bat to score a double century in oppressive conditions in the famous Tied Test between Australia and India in 1986 remains legendary in the history of Australian cricket." Fitzpatrick, renowned as one of the fastest bowlers to have played, is currently the second-highest wicket-taker in womens ODIs having represented Australia for over 15 years and starred in the 1997 and 2005 World Cup victories, then went on to coach them to T20 World Cup wins in 2012 and 2014 alongside the 2013 World Cup. 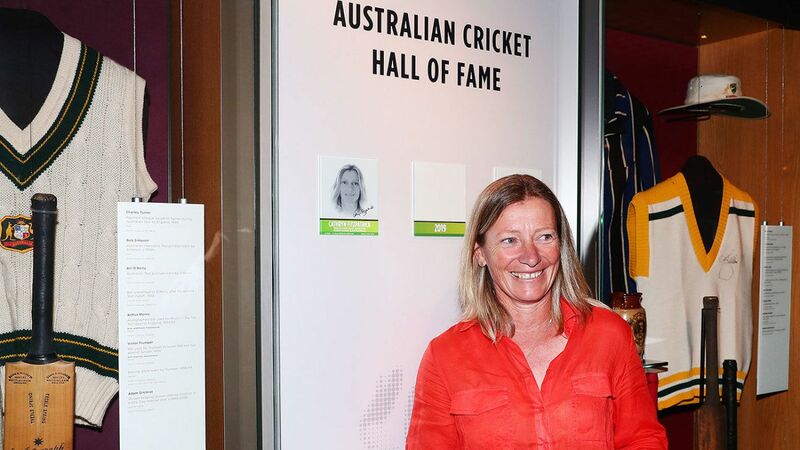 "Cathryn Fitzpatrick was regarded by team-mates and opponents as the worlds premier female fast bowler over her decorated career," King said. "Her dedication to the game ensured she regularly bowled at a sharp pace which batters around the world often struggled to handle. She was dangerous right to the end of her career, claiming a six-wicket haul - that included a hat-trick - in her second last match." Murdoch was the second captain of the Australia Test team and played 19 matches between 1880 and 1890, one of which - his last - came for England against South Africa in 1892 after he had qualified to represent them. He scored nearly 17,000 first-class runs with a career-best 321 not out against Victoria in 1881-82.